Four days before the president of the International Boxing Association (AIBA) published a statement offering to step aside, amateur boxing’s governing body produced an ode to boxing as an olympic sport in the form of a blog. 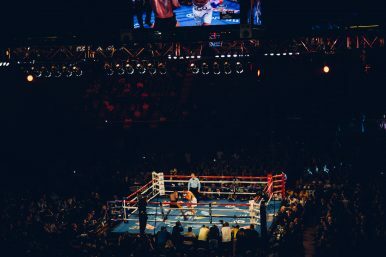 “In fact, boxing is one of the oldest Olympic sports,” it begins before charting boxing’s inclusion in the games and its unique aspects, namely accessibility. Then the blog quotes the Olympic Charter and the intent becomes crystal clear: The AIBA is making its case for keeping boxing in the games at a time when the International Olympic Committee is actively investigating its governance of the sport. The Court of Arbitration for Sport (CAS), ruled later that month that the AIBA had to allow Soviet-era Kazakh boxing legend Serik Konakbaev to contest the election but when the votes were cast in November, Rakhimov came out on top. But the IOC’s concerns remained and led to a presently ongoing inquiry by an IOC-appointed panel. According to the Associated Press, the panel will update the IOC executive board this week in Lausanne, Switzerland and the AIBA could be derecognized by IOC members in June. When the inquiry was announced, the IOC immediately froze planning for boxing’s inclusion in the Tokyo 2020 games, including official contact between the AIBA and the Tokyo 2020 Organizing Committee, as well as “ticket sales, approval and implementation of a qualification system, test event planning and finalization of the competition schedule.” Further, the AIBA is barred from using Olympic symbols, essentially meaning the association cannot advertise the games. As the AP noted, there are several Rakhimov supporters among the possible interim presidents. The executive committee was due to meet via telephone over the weekend, noting in Rakhimov March 22 statement that no further comments would be made before March 25. As of writing, nothing further had been announced. The Tokyo Olympics are set to begin on July 24, 2020 — whether boxing will be on the schedule or not remains an open question. The IOC, responding to Rakhimov’s election, expressed “grave” concern over judging scandals, anti-doping, and governance. 2 Central Asians and the Future of Olympic BoxingRussia (Not Completely) Banned from RioCompetition for the 2022 Winter Olympics Heats UpSports Doping Scandal Hits KazakhstanAmir Khan: Boxing’s Saving Grace in Pakistan?